Mad about mangoes | We are what we eat! Our stove, though functional again, hasn’t been getting much activity lately. I am sure it feels neglected, but that’s life, in the summer anyway. 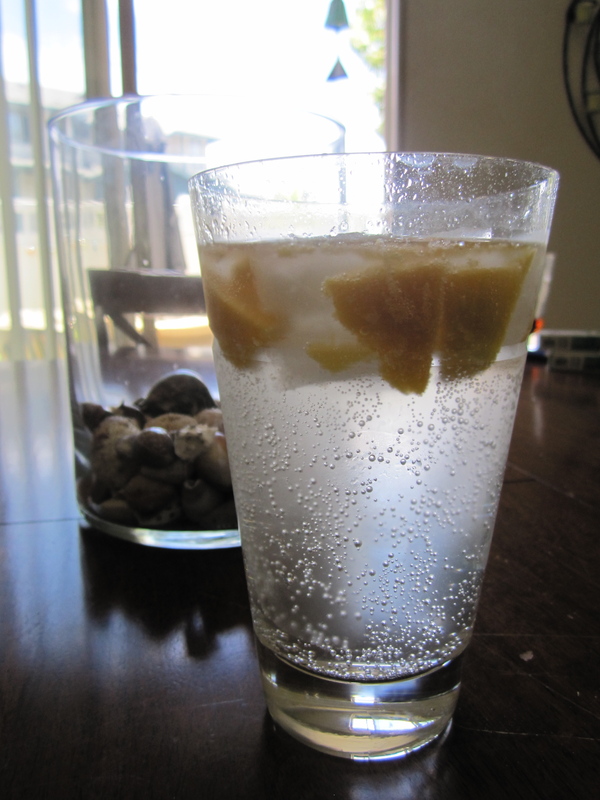 My cravings move from layered, complex flavors to the simplicity of unadulterated fruits. Mango. It fits the bill. I must admit that I didn’t eat much mango until we moved to Hawaii. However, since moving here, I have been captivated by its alluring play-hard-to-get sweet interior flesh. Eating a mango is a joy, getting to the mango’s fruit is an act of love. I feel as though I’ve finally mastered the mango and I wanted to share my ravishing technique with you. I warn you- you don’t get many points for “style” by using this technique, but you do maximize your mango, if you know what I mean. 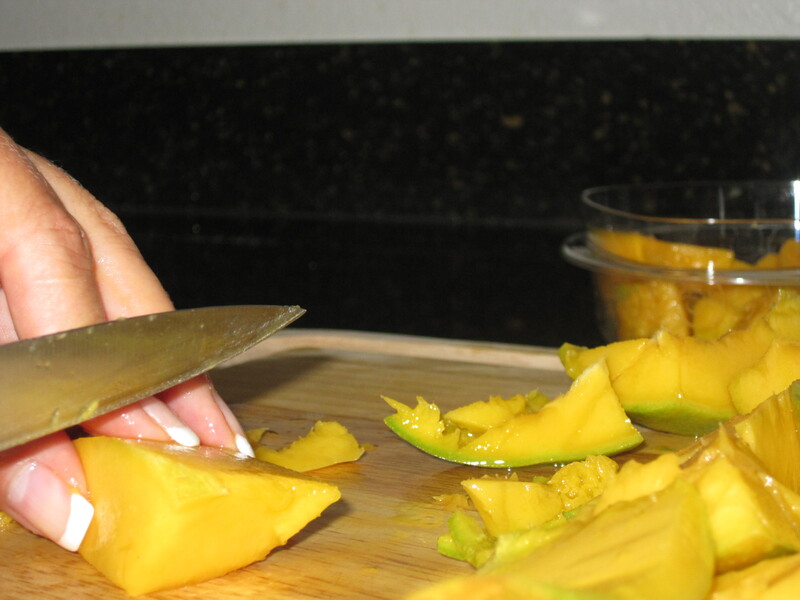 Here’s what I’ve learned about mangoes and peeling them. 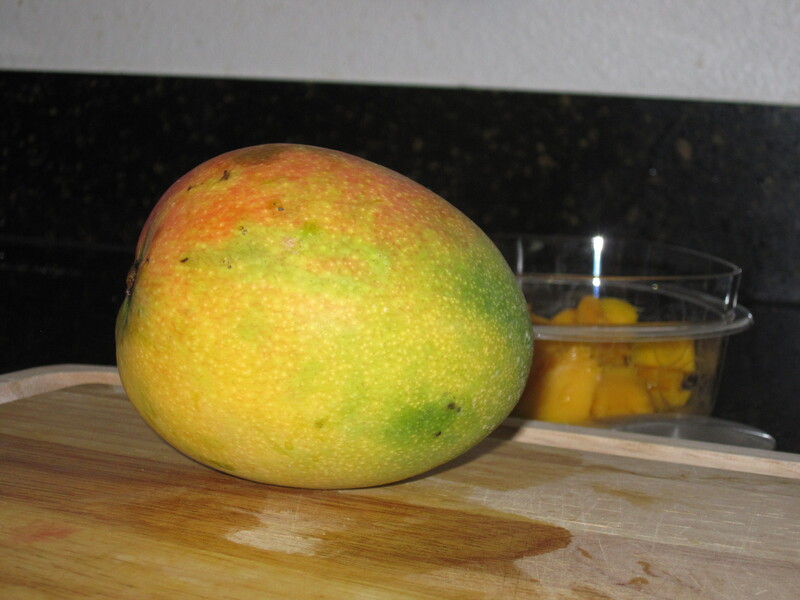 -You really can’t tell a mango’s ripeness from the color. Give it a little squeeze (the softer, the more ripe) and smell it. Don’t expect a rush of mango scents, just look for a generally clean scent that tells you there isn’t any interior rotting. 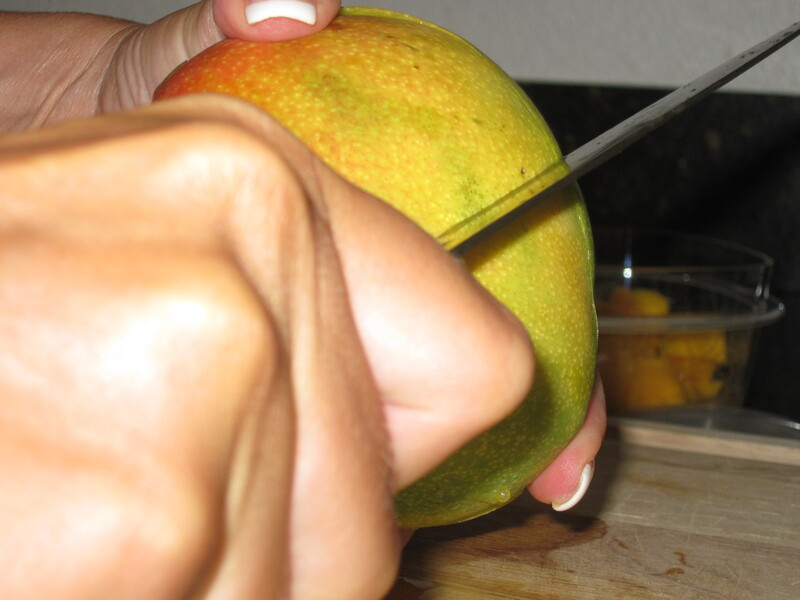 -Mango pits are quite possibly the clingy-est of all fruit pits. It just won’t let go. The avocado pit, on the other hand wins points for letting go gracefully. -rarely will you actually BUY a ripe mango. When you purchase it, leave it on the counter for a couple of days, until just a little soft. -the mango-pit remover from Williams Sonoma is a waste of money. Worthless. 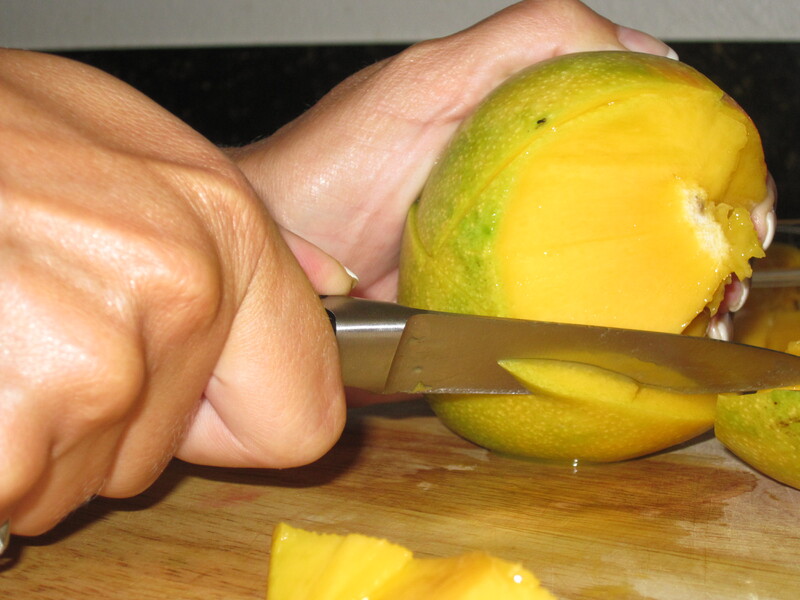 Cut around the mango length-wise and around the center, so that the mango is in 4 separate sections. 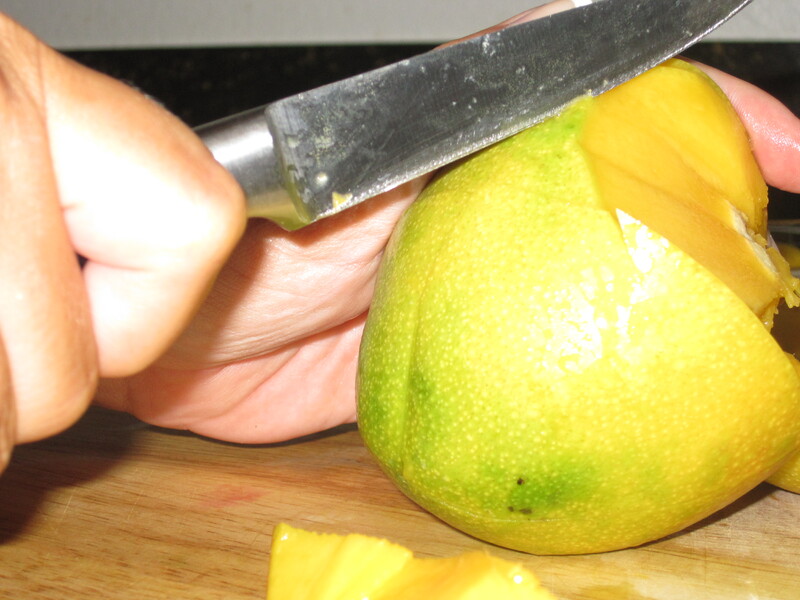 Now, using a paring knife along the inside of the smallest quarter, find the pit and follow it, separating the mango from its clingy pit. Now you can follow the pit with your paring knife to get all the fruit possible from the pit. P.S. I am so sorry for extended absence. A couple of times a year, our house plays host to part of our large family. During those times, my attention is completely captivated by our lovely company, in this case, my three nieces and their Mom. Great company one and all! We’re grateful they came to visit AND I am grateful that our stove part came just days before their arrival. Thanks for all your notes and for asking how I am! Dear Tara – Love your summer desires list The mango sparkler is lovely for the season especially with a kick of vodka for brunch! So glad your stove’s back but who needs THAT in this heat, eh?